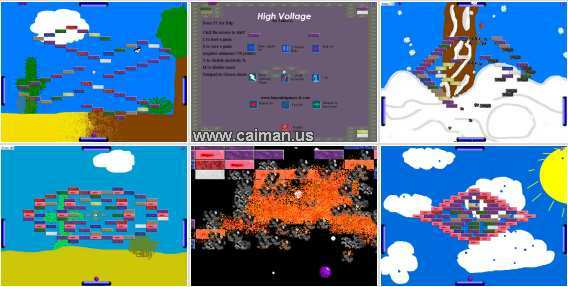 Caiman free games: High Voltage by Sir Lancealot. 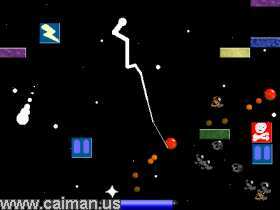 If you like a game such as breakout or dx-ball or megaball or breakball... etc. then this game will suit you just great! with 79 levels of playing fun, ten different powerups, and 4 times the paddles, you`re sure to have a big challenge ahead. 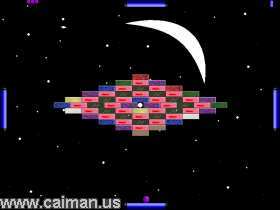 But unlike most arcade games, you can save your progress (provided you have enough points). You`ll travel through space, fly in the clouds, ride in the desert, jungle, and even near an active volcano all the while busting bricks! mirror download (from author) (no install) 3,64 MB.